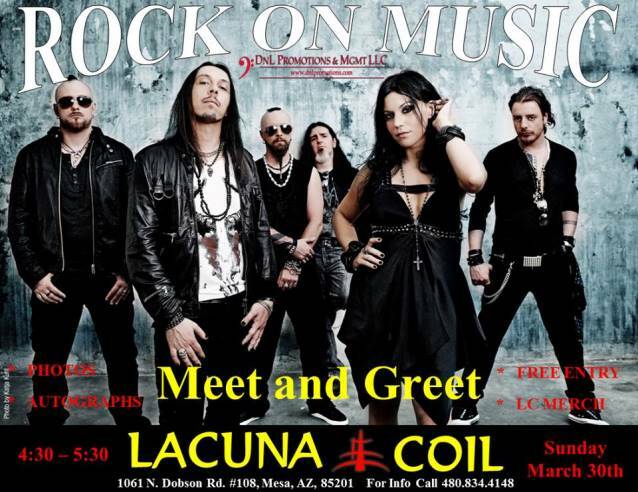 Italian heavy rockers LACUNA COIL will take part in a meet-and-greet on Sunday, March 30 from 4:30 p.m. until 5:30 p.m. at Rock On Music in Mesa, Arizona. For more information, visit www.rockonmusicaz.com. 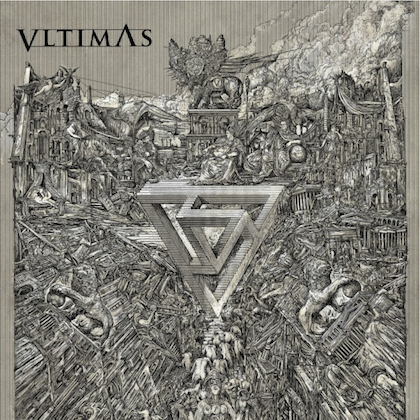 The official lyric video for the song "Die & Rise" from LACUNA COIL can be seen below. 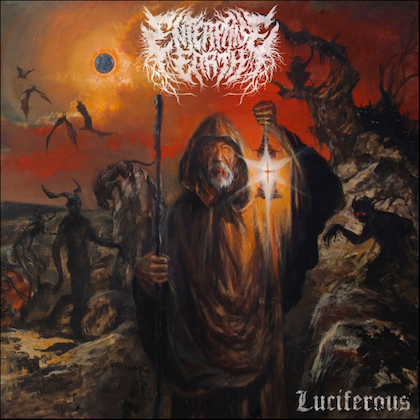 The track is taken from the band's new studio album, "Broken Crown Halo", which will be released in North America on April 1 (one day earlier internationally) via Century Media Records. 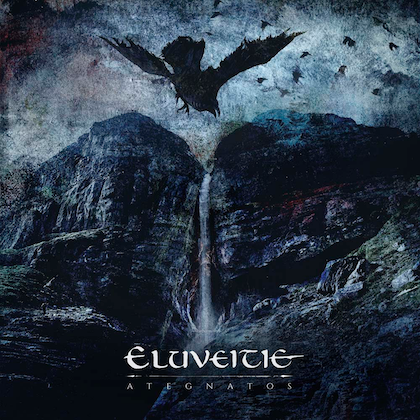 The CD was recorded Italy by producer Jay Baumgardner (P.O.D., SEVENDUST, EVANESCENCE, PAPA ROACH) and engineer Kyle Hoffmann (P.O.D., BUSH, ZEBRAHEAD). The effort was mastered by Howie Weinberg, whose credits include RAMMSTEIN, SOUNDGARDEN, NIRVANA, DEFTONES and SHERYL CROW. 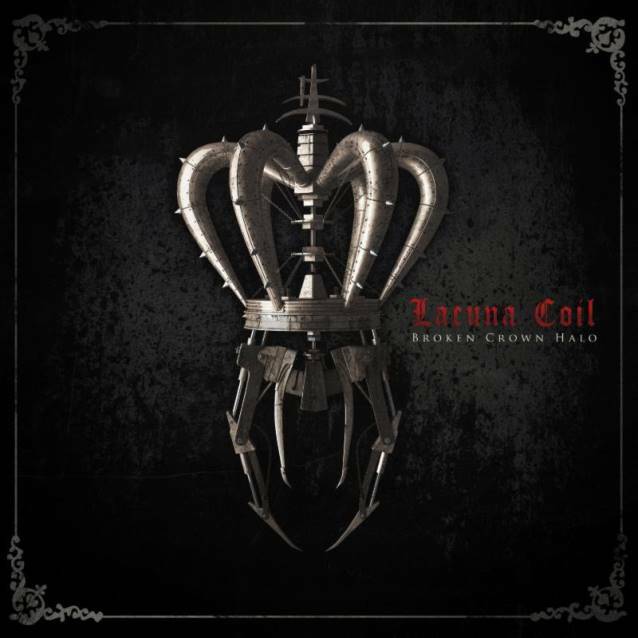 "Broken Crown Halo" is LACUNA COIL's seventh studio effort, and the highly-anticipated follow-up to "Dark Adrenaline", which was released in January 2012 and saw the band tour with acts including MEGADETH, MOTÖRHEAD, VOLBEAT and SEVENDUST after debuting at No. 15 on The Billboard 200 album chart. LACUNA COIL last month hit the road as a quintet as part of "The Hottest Chicks In Hard Rock Tour" following the departures of guitarist Cris "Pizza" Migliore and drummer Cristiano "Criz" Mozzati. Marco "Maus" Biazzi is handling all guitar duties on the trek while drummer Ryan Blake Folden is once again sitting behind the kit. 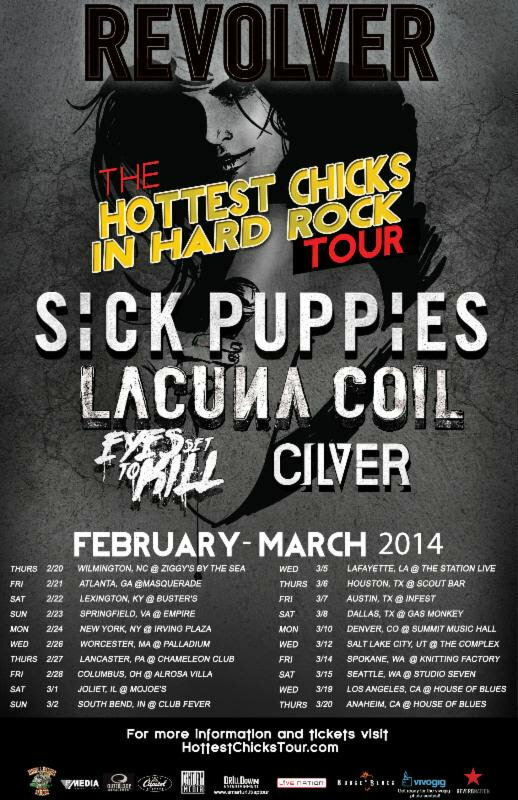 The Revolver-magazine-presented "The Hottest Chicks In Hard Rock Tour kicked off February 20 and features LACUNA COIL sharing a stage with SICK PUPPIES, Century Media Records labelmates EYES SET TO KILL and CILVER. The tour launched in Wilmington, North Carolina, and runs through March 20 in Anaheim, California.